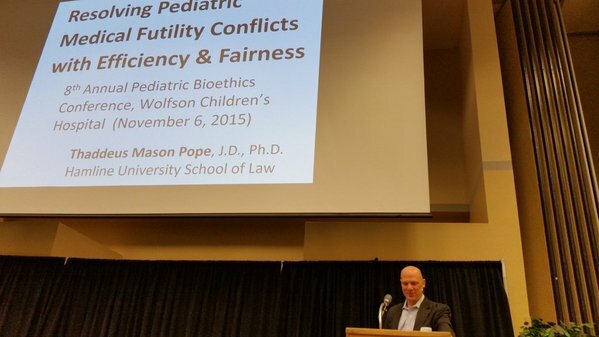 I was delighted to join 300 people, yesterday, at the Eighth Annual Pediatric Bioethics Conference in Jacksonville, Florida. This event was a partnership of Wolfson Children’s Hospital, the University of North Florida, and the Florida Bioethics Network. I have posted my slides on resolving medical futility disputes here.